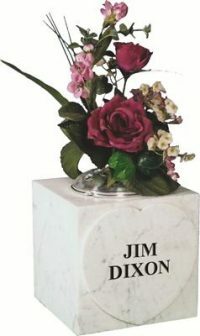 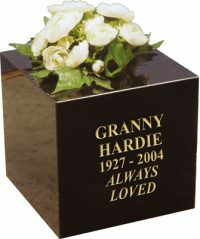 Our vases can be personalised with an inscription or ornamentation like any of our memorials. 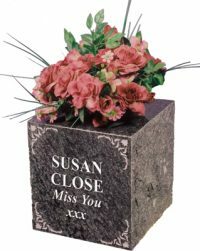 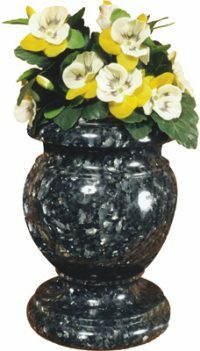 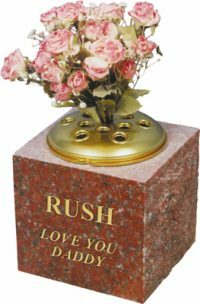 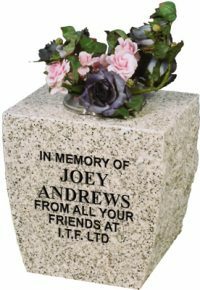 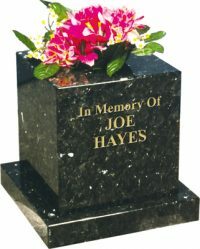 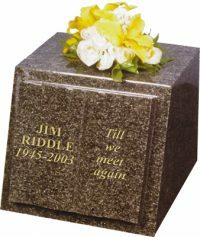 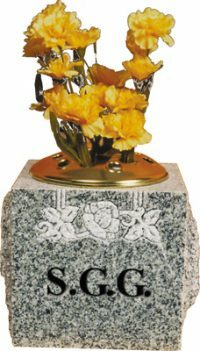 Vases can compliment many of our larger memorials and can be used where there is no space left on an existing stone for an added inscription. 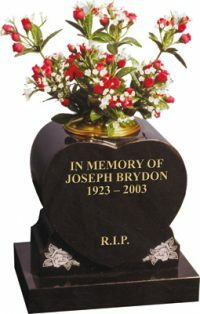 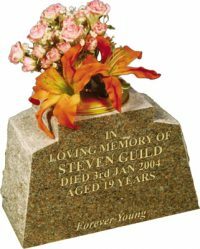 If you are interested in any our memorial vases we will provide you with a free no obligation printout of the memorial with any proposed inscription and an estimate of the cost.